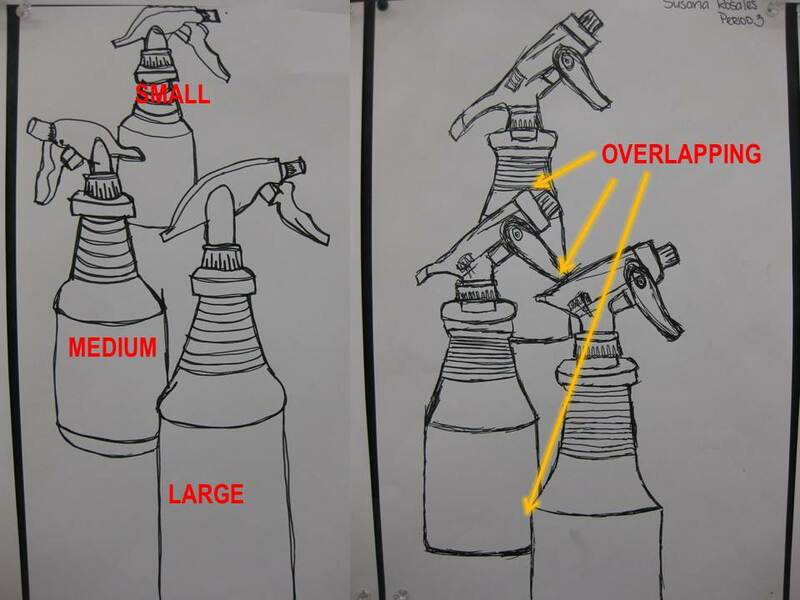 Students will draw a spray bottle in RIGHT BRAIN MODE. Students will create depth. STEP #1 ​You will draw a spray bottle three times. It will be a continuous contour line. You are only focusing on the edges. You will draw in RIGHT BRAIN MODE. Draw exactly what you see! To create depth you will vary the scale of the bottles and overlap them. Large medium and small.